We will disclose any of your personal information to any third party where we are under a duty to do so in order to comply with any legal obligation, or in order to enforce or protect any of our rights, property or safety (or those of our customers). Where personal information is processed on our behalf by third parties (such as for the purposes of processing your room booking), we will ensure that they keep your information secure. The Anglesey Hotel takes the security of any personal information we hold very seriously. Where necessary, and in common with other websites, we use SSL (Secure Sockets Layer) encryption to ensure that personal information provided to us is not visible to anybody else when in transit between your computer and our servers. You can tell when SSL is in use by the presence of a small "padlock" symbol in the status bar of your web browser. In addition, our web servers are housed behind a secure firewall that prevents access to our databases by unauthorised users. All of our servers are housed in a secure environment with high levels of physical security. We would like to keep you informed of The Anglesey Hotel news and offers by post, phone, email, text and other electronic means. If you have agreed to receive such marketing communications you may opt out or change your marketing preferences at any time by Contacting Us. You have the right to request a copy of the personal information that we hold about you. To obtain a copy of this information please contact us at the following address or email The Anglesey Hotel. This site is operated by The Anglesey Hotel. 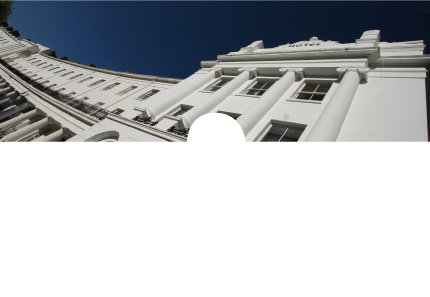 © 2014 The Anglesey, The Crescent, Alverstoke, Gosport.